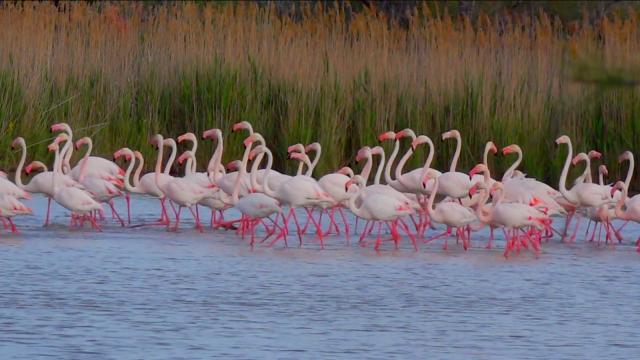 The Camargue is a beautiful natural region located south of Arles, France, between the Mediterranean Sea and the two arms of the Rhône River delta. You can find a lot of wild life, but it is mainly known for its wild horses and flamingos. 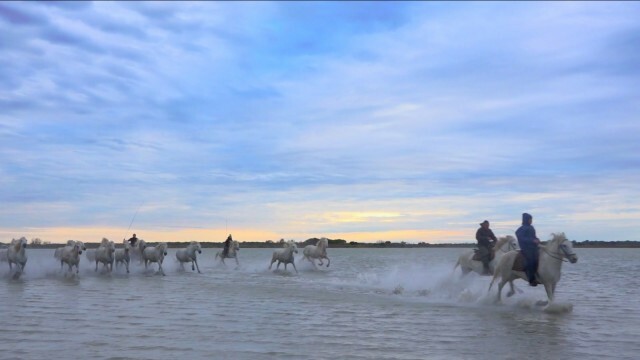 Since the 1500’s the men (and more recently, women) of the Brotherhood of the Camargue Horsemen have been tending to herds of horses and bulls in the unfenced coastal region of the Camargue in southern France. 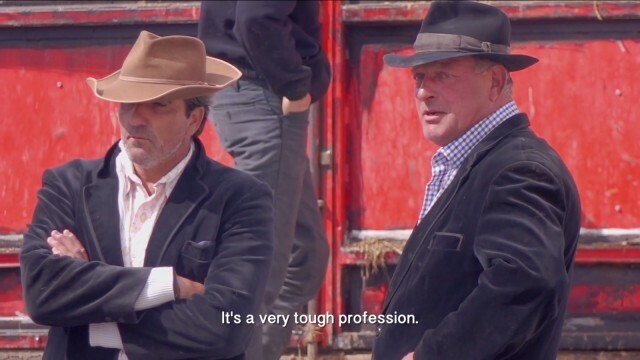 Working with the bulls and the beautiful white horses of the region is a noble tradition, but economic and social pressures are taking their toll on the professional guardians. And their way of life is becoming harder to maintain. A Guardian leading the horses. 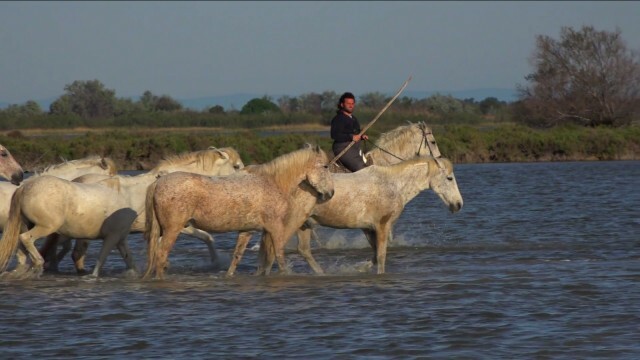 Guardians have played a vital role in Camargue culture for generations, but their way of life is becoming harder and harder to sustain. 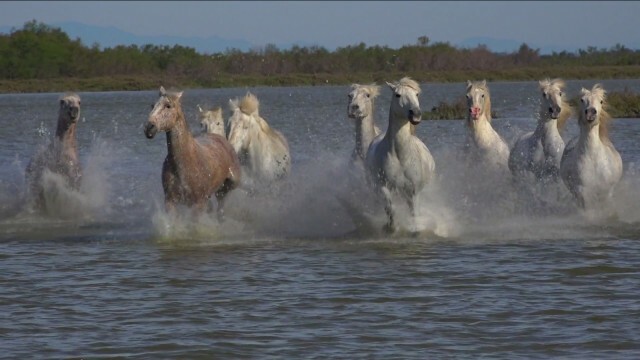 The Camargue horse is also known as the ‘horse of the sea’ is an ancient breed of horse indigenous to the Camargue area. It is generally considered one of the oldest breeds of horses in the world. it have existed in this region for centuries. Carefully monitored, yet allowed to run wild, these horses are very rugged with hooves especially adapted to lengthy exposure to water. 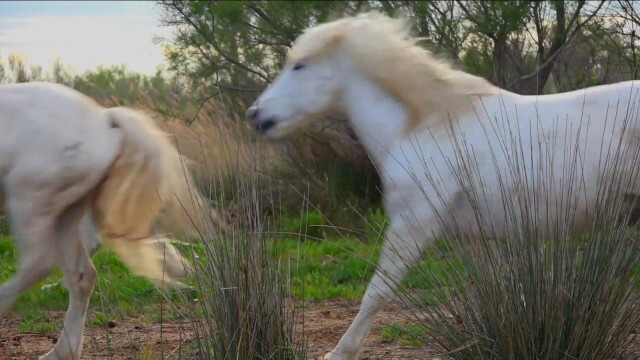 Below is a short and beautiful video about the horses and their team of guardians – a profession that is on its way to becoming extinct. This is a HD video and I recommend you watch it in full screen. 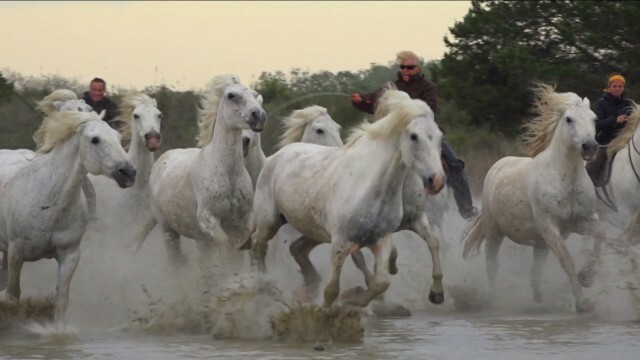 This entry was posted in Video, Wild Horses and tagged camargue, horses, nature, video, Wild Horses.